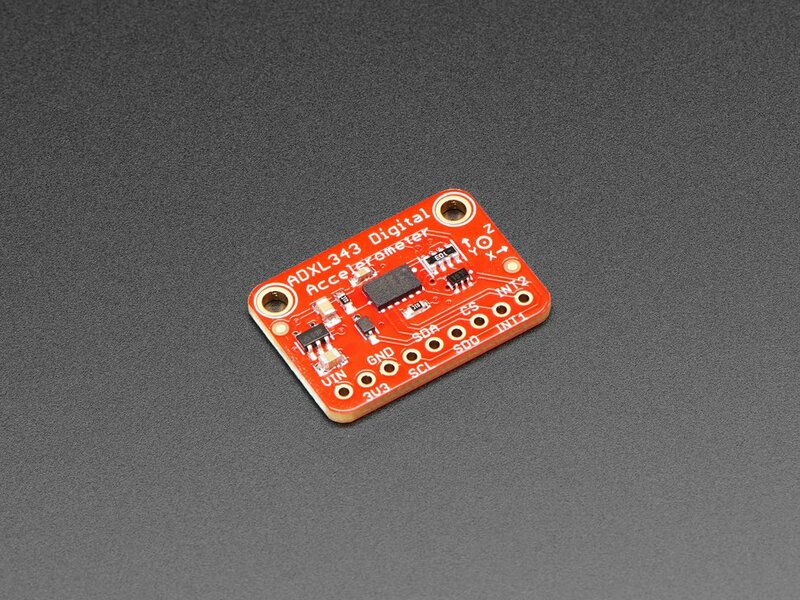 The sensor has three axes of measurements, X Y Z, and pins that can be used either as I2C or SPI digital interfacing. You can set the sensitivity level to either +-2g, +-4g, +-8g or +-16g. The lower range gives more resolution for slow movements, the higher range is good for high speed tracking. 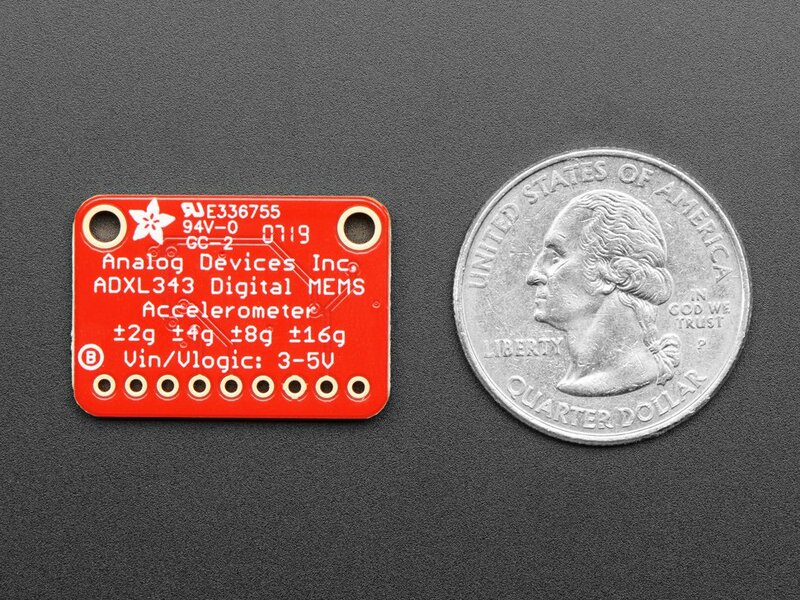 The ADXL343 is the latest and greatest from Analog Devices, known for their exceptional quality MEMS devices. 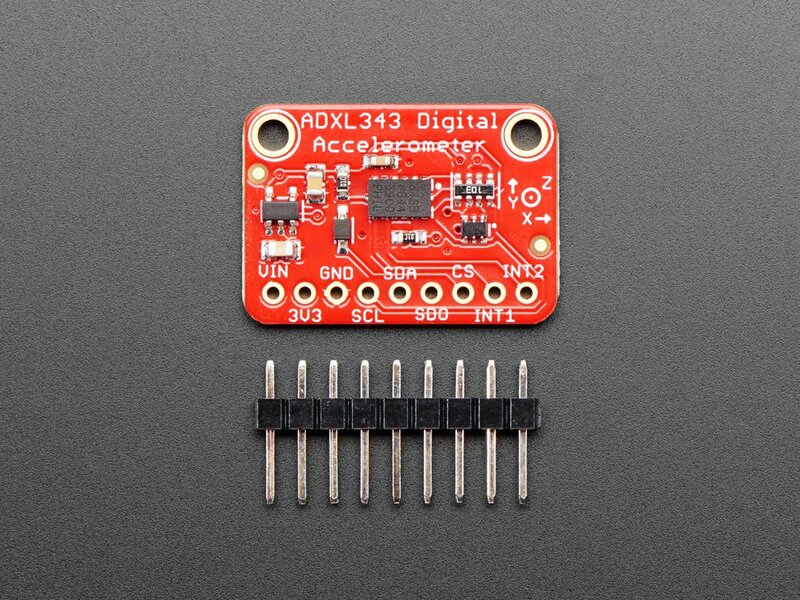 HW support for both I2C and SPI, although I2C is recommended for ease of use.